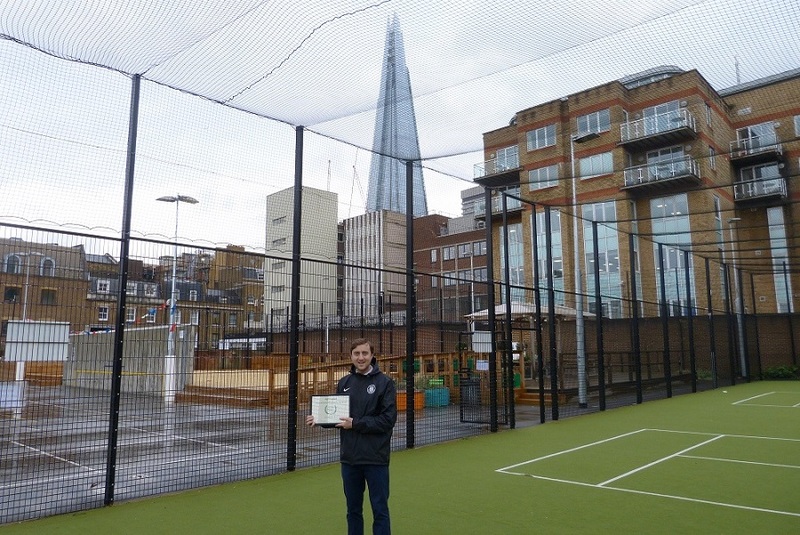 The grassroots sports facility is home to a top class 5-a-side pitch in the shadow of the Shard, which is being upgraded to a brand new 3G pitch in time for the New Year. 5aside.org run several leagues from Marlborough Sports Garden throughout the year for London’s aspiring footballers. They provide FA qualified referees, match balls and bibs. Marlborough Sports Garden is managed by Bankside Open Spaces Trust, who took over the duties from Southwark Council. The history of the Marlborough Sports Garden owes its existence to Consuelo, Duchess of Marlborough who decreed that “Surplus land from an insanitary area between Borough High Street and Red Cross Street should be used as a recreation ground”. 100 years later this open space remains a key area for physical activity in the city. November’s grassroots venue award, which is determined by MyLocalPitch users, was based on pitch quality, venue amenities and customer experience.